Kororoit Institute (KI) is something of a black swan – an unexpected outlier in philosophical or academic discourse. It has emerged as a response to its founders’ difficulties in finding a home for their polydisciplinary research interests and practice – where the polydisciplinarity often includes an engineering thread. (In polydisciplinarity, several disciplines are combined in the one individual.) Polydisciplinary work may lead to novel and important insights, but it is difficult to do and publish, and hence not particularly esteemed within the tightly defined disciplines of current academic environments. KI began its emergence in Melbourne in the early 1980s through some of its disparate founder’s interests in personal computing. Divergent interests were developed in the 1990s through the early 2000s as independent threads (documentation and KM systems analysis and architecture in the defence project engineering environment, internet consulting and community involvement, software marketing). A new period of coalescence and growth began in the mid 2000s around our merging interests in the Theory, Ontology and Management of Organizational Knowledge (TOMOK). The initial TOMOK group included several members on the periphery of Melbourne University together with their interstate and international connections. TOMOK locals began to gather at meetings of the Melbourne Emergence Meetup Group – initially established knowledge management practitioners. KIPSA (now trading as Kororoit Institute) was formed in 2011 by Melbourne Emergence members to establish an intellectual (and hopefully a physical) home for cross disciplinary theoretical research and practice into complex adaptive social systems weaving together threads crossing evolutionary biology and epistemology, emergence, systems, complexity, organizational knowledge management, community consultation, polycentric governance, service corridor and public land use planning, and applications of facilitating information technologies. Our interests are global – with an immediate focus to do what we can to support ecological sustainabilty and human well-being in the unavoidable development of urban, peri-urban and regional living surrounding Melbourne. Our scope is intended to include research, consultation/outreach, and training. Alain Moulet is introduced to express KI’s polydisciplinary approach to our planetary support system. He is followed by a wide range of presenters from academia and practice, covering conceptual and methodological approaches and experiences relating to how we interact with our planetary spaces and resources for living. 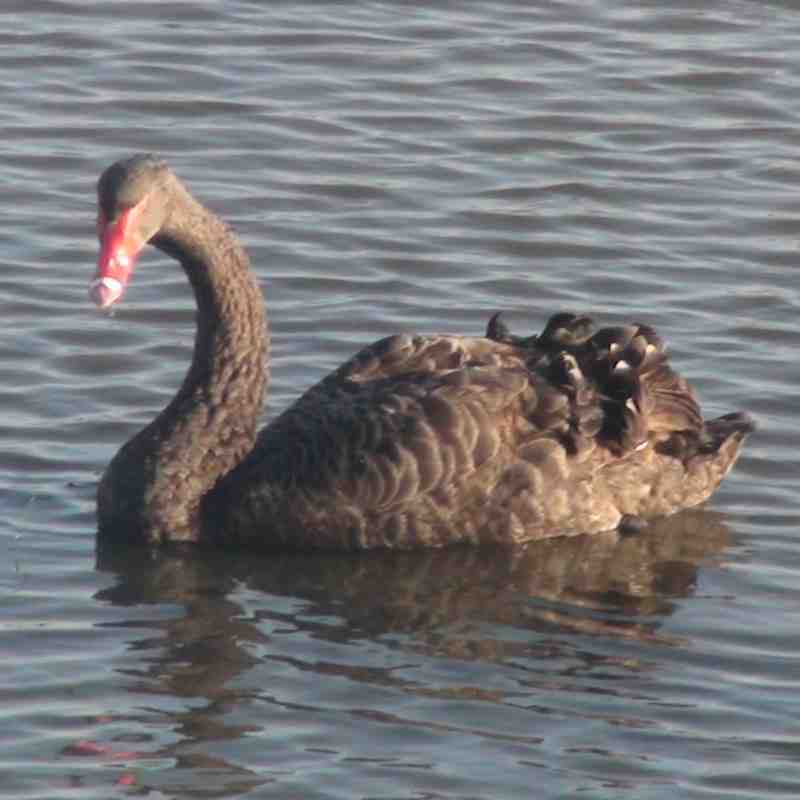 Hopefully the mix of these ideas will give birth to more black swans. the idea that everything is perpetually evolving and interacting. hierarchical (in that interactions in this space occur simultaneously at many scales, from home or office to a city, a whole region and more). kinds of changes humans might make to sustain and improve the qualities of our living spaces - for people and for the sakes of other living organisms our environments require for health. Our shared ambition is to assist in the building of a social, natural, physical and digital living environment in order to improve both the qualities of individual peoples' lives and the quality of the natural environment they live in. Many existing initiatives contribute to this aim, but our added value is to address it in a globally systemic way. In Australia, KI people have been involved in the application of social technologies for knowledge management in several such initiatives, in community, landcare and watershed management initiatives. 10:30 Why are you here? Where do you want to go? How can we help? Audience Discussion - get up and walk around, have a coffee! The world faces a number of highly complex and dangerous issues relating to growing human populations, global warming and climate change, diminishing and non-renewable natural resources, etc. Whether they are authoritarian or democratically elected, top-down systems of governance are proving to be unable to deal effectively with these kinds of issues, globally, regionally, or even locally. Centralised authorities simply lack the breadth of knowledge or the credible authority required to effectively address these kinds of critical issues. Based on our experiences and observations in our knowledge management practices, KI members have been developing a theoretical and practical understanding of how grass-roots communities directly concerned with complex and dangerous issues can emerge, organize, assemble and share relevant knowledge, and then work with appropriate authorities to address those issues. New internet and social technologies facilitate the formation of such groups and give them vastly more power to assemble and apply knowledge than could be imagined even 20 years ago. Through our outreach activities, KI hopes to help community organizations to adopt and learn to use the new technologies effectively. Principal, EA Principals; contributor, Enterprise Systems Architecture Institute International; and Director, Center for Public Private Enterprise – both in Alexandria, VA, USA. The 2009 Nobel Laureate in Economic Science, Elinor Ostrom, has spent more than 40 years studying the governance of scarce resources (water, fisheries, forests) trying to understand how to avoid the “tragedy of the commons” - where it is always to the economic advantage of individual exploiters to continue consuming the resource until it no longer exists. Only by imposing some kind of social control over the resource to forcibly restrain exploiters can the tragedy be mitigated or postponed. After many years study of systems of social governance that have worked and those that have failed, it is still unclear how to design an effective system for any particular resource – other than knowing that the system must involve the stakeholder communities and exploiters, and that knowledge relating to the resource and stakeholder communities must be constructed and shared among both groups. The new social networking and cloud computing technologies have radically changed the capabilities to construct and share knowledge, but the technology is so new we still have little idea how to use it most effectively. We believe that the comparatively new discipline of enterprise architecture offers a pragmatic and powerful methodology for designing appropriate systems of governance involving stakeholders and their communities. Architecture can be defined as the art and science of designing and managing the construction and implementation of complex structures. Enterprise architecture emerged from the disciplines of information systems architecture in the area of software and systems engineering to provide an intellectual toolkit for translating an enterprise’s vision and strategy into effective internal change. It does this by defining, communicating and improving key principles and models that describe the enterprise's future state and enable its evolution. The scope of enterprise architecture looks beyond the normally inward focused “systems architecture” to specifically include the people, processes, information and technology of the whole enterprise, and their relationships to one another and to the external environment. EA Principals is extending enterprise architecture to include a focus on organizational knowledge, defined as solutions to problems, to ensure that architectural efforts particularly relate to decision support. Here, in conjunction with KI, we are concerned to apply enterprise knowledge architectural concepts to understanding and improving the effectiveness of community involvement and action in local, regional, and national governance. the development and management of the French sub-group of the “Living Spaces for Change” international network of research centres, companies and local communities. The project of establishing such a node in the city, led to a larger project of "Socially responsible innovation cluster", in a way that would bring unexpected potential and benefits to the economical, social, cultural, educational and scientific territorial development of the city and to its local and international visibility and image. CEO of UFO (Urban Fabric Organisation) France. Urban mutation is on, welcome collaborative urbanism. The most attractive territories will be the ones that will mobilize and engage with their social and economical actors in innovative and creative ways. At the intersection of physical and digital worlds, the Unlimited Cities prototype offers new possibilities for collaborative urbanism. From the street - in a "real situation" - anyone using a smart phone or tablet will be able to imagine freely and simply the evolution of their built environment. In real time, the imaginaries produced by each individual will be analyzed and processed to give direct data to the designers. These imaginaries will used as well as a base for open discussions that could lead to creative projects. Hybrid and multidimensional solutions will be imagined by people that usually don't have the opportunity to discuss and impact their environment's future. The solutions will be innovative, complex, usually of good sense, and sometimes non-intuitive. These solutions will nourish discussions. They are specific to a place, its history and future and are accessible only when are confronted different point of views. These solutions that might not be intelligible to the specialized discussion upon professionals are necessary to transform cities and make them more livable and sustainable/maintainable. Unlimited Cities is a tool of empowerment: it favors the development of a territory based on its own potential, in particular its population's creativity and diversity, to combine with the territorial knowledge of the elected officials. UC is only a brick from a more global multi-scalar multidimensional approach, "urban dash": representing and scoring the urban quality of life from street scale to multimillions megapolis. Australia is undergoing significant social, economic and demographic change. By 2050 the population is projected to be about 35 million with those over 65 being roughly double the percentage today i.e. from 11.5% to 22%. This translates to about 7 million of whom 1.8 million will be over 85.This emerging cohort of seniors will be different to previous generations of older Australians in terms of their education, expectations and aspirations. Most of them will be living in expanded metropolitan zones of existing cities. The desire to maintain independence in one’s own home (ageing- in- place) is a passionate priority for people as they age. However it is important that accomodation can adapt to changing levels of activity and capacity as physical and mental problems develop in later life. Much of the housing stock in Australia is unsuitable for older people. From a social and economic viewpoint, there is clearly a need to create new and improved living spaces together with new approaches to self-management of chronic diseases for the growing cohort of senior citizens. New approaches that link technologies such as information technology, biotechnology,nanotechnology (so-called enabling technologies), and also cognitive science, with aged user needs have the potential to create new and improved products to facilitate ageing- in- place. The lecture will discuss an ATSE report entitled “Smart Technology for Healthy Longevity” examining the future developments to enable widespread ageing- in- place in Australia. There is an urgent need for government recognition of the impacts of demographic change and for increased awareness of the potential for enabling technologies to provide solutions. the design of houses has not traditionally been designed for the local climatic conditions. lack of trained local skilled labour to build and maintain houses. An initiative of training and employing local sub-contractors is proving to be successful to Cape York in building houses, training of locals and addressing the social issues. 3:00 Adventures in planning: How an optimistic, some might say utopian, community activist / strategic planner met reality. Member of Advisory Board, Centre for Governance and Management of Urban Transport (GAMUT), University of Melbourne. Success so far has been mixed. We haven’t had political power to insist on its implementation. Our advocacy has come up against vested interests who are doing well out of the existing systems; and actual and perceived cultural resistance to change. Most of the things we have achieved have been initiatives which have not seriously challenged the old model. My experience of the last year working as a transport planner in a growth area municipality has opened my eyes to the strength of the vested interests at state and federal government levels. To succeed in implementing a new development model we need to build knowledge, capability and determination to overcome these vested interests. The political rhetoric emanating from local government in Australia would have us believe that its core business is to create more resilient societies. This task not only suggests that corporate structures, resourcing and accountancy frameworks subordinate ‘servicing’ to ‘strengthening’, it implies that its investment and development policies enable the production and accumulation of value in a way that prioritises the health and wealth of our planet and our society. However, on closer inspection one finds an institution in transition and in some cases, in turmoil. For the most part the policy rhetoric embodied in local government corporate strategies is just that, a political aesthetic induced by images of the way it would like to work rather than the way it actually does. This presentation is grounded in the assertion that at no stage in the history of Australian local government has there been a more critical need for the radical overhaul of its business model in favour of one which recognises that our changing relationship with energy, food and water coupled with a changing climate and the prevalence of ‘debt’ as the basis to productivity, requires strategic interventions at the local level in order to ‘strengthen’ our society. Using various examples, this presentation hopes to illustrate/ explain that there are three strategic shifts which would radically re-position the business of local government and in so doing, ensure it is more effective at ‘strengthening’ our society. See itself as the enabler of an investment and development agenda rather than the author of it. The last decade has seen an enormous change in the challenges in the world and the opportunities in education. Originally, universities were places that stored and developed humanity's knowledge. Now, such knowledge is available everywhere. At the same time, humanity is facing enormous challenges, not the least of which is climate change. How do universities prepare young citizens for this challenging world, while making use of the amazing information technology now available? What are the pedagogical models available to achieve this? What are the barriers to creating the New Universities. To prepare students for a multidisciplinary working environment and build a strong skill base for emerging industries, secondary education programs are needed that: engage students in the study of Science, Technology, Engineering and Mathematics (STEM); connect students and teachers to emerging industries and new technologies; build fundamental science and mathematics skills; build analytical and critical thinking skills; build skills in the use of technology for modelling and analysis; build communication and collaboration skills; develop basic scientific literacy and; develop an understanding of how science and engineering support public good. VSSEC is working with the Bureau of Meteorology, Geoscience Australia, CSIRO, the Institute for Telecommunications Research, and many others, to develop a scenario-based education program to address this need and introduce the fundamental concepts of remote sensing and satellite systems and their application to disaster response and climate change. Transport has many social, economic and environmental impacts that effect sustainability. Many of the costs of transport routes are not perceived by travellers. There is a need to provide more mode specific and detailed information to travellers about the costs and benefits of their trips. Such information can help promote walking and cycling and public transport since active transport provides many health benefits for individuals and society. This presentation will introduce a multi-criteria methodology for journey planning that incorporates health, environmental as well as travel time and financial factors. Procedures will be presented for including personal energy expenditure, direct financial costs, travel time, emissions and energy consumption information in journey planning. Procedures for ranking travel alternatives based on user preferences of modal attributes will be presented. Tools for conducting sensitivity analysis are also presented. A case study will be used to illustrate how procedures could be applied to a specific trip for common modes of transport. Details of how recent initiatives such as Melbourne Bike Share scheme and the Parkiteer bike cages at railway stations can be incorporated as well as how route planning for cycling that includes consideration of bikelanes, bikepaths, gradients, intersection types and safety will also be explored. The exponential increase in Victoria’s population, currently at 5.624m as of June 2011 is expected to rise to around 6.2 million by 2031. Coupled with this is an ever increasing demand for an effective and efficient public transport system which, in turn, brings with it the need for improved safety management across the industry. This paper looks at the impact that the introduction of the new requirements are making on fostering an improved safety risk management culture within the bus industry. ● Addressing transport and urban complexity: satisficing, endpoint or optimising goals? The application of analytical and theoretical approaches to urban and transport systems usually has the implied goal of meeting some optimal goal. This is encountered as frequently in urban design and architecture as it is in logistics, land use and travel behaviour: albeit with different types of ideal goals, often mutually incommensurable. Efforts to reconcile these competing goals are transformed into applied metrics for project justification (ex ante or ex post), and frequently utilise demonstrably incommensurable multidimensional reductionist metric method, others prefer economic evaluations, not unusually with equally suspect and incommensurable economic scales. Clearly there are real preferences for one type of urban or transport system outcome, irrespective of the economic evaluations. Transport and urban systems are so complex and so intertwined that an alternative way of addressing these points is clearly necessary for conceptual clarity and practical project implementation over time once the commitments are made. This paper argues that the vagaries of ‘path dependence’ and the problems of evaluation summarised above might profitably be addressed by an alternative paradigm drawn from optimal control theory. The presentation will expand on methods for doing so, and highlight fresh perspectives offered by this approach. It does however require decisions to be made on the value of reaching one goal state rather than another, and these can no longer be buried in the tail of the NPV series. The project is a sustainable design and build for Kenya Wildlife Service (KWS) that will have significant impact for the local community. The building itself will be built at 4000 metres. Significant attention needs to be paid to several issues including building in an environmentally sensitive zone, from a Kenyan perspective, building and maintenance life cycles, cultural and environmental educational approaches and impacts to name a few. Melbourne's western and northern growth regions are attracting a diverse new population including welcome numbers with the personal qualities needed to actively care for the local environment and heritage. At another level this can only further stretch the already thin on the ground and rapidly ageing assortment of locals with the longer perspective needed to ensure critical knowledge can be shared. Meanwhile, well intentioned councils and other authorities trickle mostly project funds to properly incorporated groups, each time demanding a greater mountain of repetitive paperwork. This presentation describes a representative sample of groups in our region trying to protect the public interest in such matters and their typical activities. For polycentric governance of common pool resources such as a limited supply of land, fresh water, fisheries, forests and other scarce resources, local stakeholders as well as governing bodies must have ready access to reliable knowledge about the states of resources and the demands on them. The new social and cloud technologies on the web provide this capacity. Two local cases vividly demonstrate how successful they can be when developed and used by local groups. One key user has Riddells Creek Landcare site using Google's free Sites application. This user, together with some technologically savvy friends, have used a variety of public domain applications to develop the NatureShare site for crowd sourcing observational and distribution data on Victorian plants and animals. Some implications of these sites will be highlighted. Socio technical systems aim to enhance connectivity between people, whether they are farmers, enterprise managers, service providers, researchers, policy makers, family support personnel, equipment vendors, market access agents – indeed even citizens, users or consumers. But how equipped are we to work productively across so many different boundaries to contribute to the vitality, profitability and resilience of Victoria’s agricultural communities? How can we harness social networks and technologies to enhance the quality of decision making across so many different types of contexts whether the focus is on working towards commercial, industry development, innovation, ethical, environmental or sustainability outcomes? This presentation will look at the lessons learned thus far in how the Victorian Department of Primary Industries (DPI) is preparing to engage its clientele and stakeholders in new ways through a newly established "knowledge-based project" that falls within the Divisional Continuous Improvement team within Farm Services Division. This work, as it continues to unfold, is likely to require commitments to new information architectures, governance systems and infrastructures across DPI and even across the industries that the department aims to serve. A particular focus will be on capability development and its application in tacit ways to an emergent domain called “knowledge management”. While biology was the original target for the study of emergence, it is its metaphorical extension into other areas where no strict analogue of DNA exists which drives much ongoing interest in complexity. This presentation explores the idea that chaotic sensitivity in one system can be the source of mathematically independent variation in another system which has been traditionally assumed separable. Such influence across different scales of time and space may be the norm in the real world but is almost always missed by models. Emergent organisation is conspicuous in physical systems from galaxy clustering to crystaline solids and, at least speculatively, far beyond at both ends. Chaos ensures that the exact state of our system can never be known precisely, and makes it inescapable that two seemingly identical systems will eventually diverge. My notable exception is the toy systems I play with in the artificial isolation of a computer-defined rectangular grid where a local iteration rule determines the next state of a cell from the previous state of its immediate neighbourhood, a particular subclass of cellular automata. The cities and communities we live in are holistic living systems. The evolution of social complex systems of cities and their regions can be investigated through the evolution of spatial structures. The clustering of entities within cities, regions and beyond presents behavioural elements for which methodological approaches need to be considered. Understanding the concept of scalability is fundamental as a means for manoeuvring through and between systems levels regardless of their substance (physical or tacit). This concept has not as yet been expanded to such a degree as to be consciously recognized as a necessary behaviour required for emergence in geographical and geophysical spaces. This presentation is about my personal experience and growth in developing the thinking patterns fit for the 21st Century’s digital growth and the management of finite resources. How coincidences and the law of attraction contributed to the development of the diagram. The reference list shows the progression in thinking from technology to social responsibility - my focus is to discuss the human side of technology in the development of thinking patterns beginning after item 50 in the reference list – up to item 50 are the references that form the benchmarks to the risk/complexity/time thinking diagram in the centre which is at the core of the transformation in thinking patterns. Its about knowing and understanding change ‘from what to what’ to achieve social responsible action from Governments, Corporations and Commerce and Industry. To make a difference in living globally. At first the idea of highly intelligent AI may seem far-fetched. Is the idea of a Singularity just imaginings of paranoid crack-pots or is it an extrapolation of a valid line of enquiry? And if the latter, what are the implications? I argue that even if a Singularity is assigned a low probability, because of its strong implications on our future, it should be taken very seriously. If we travelled back in time, and witnessed the invention of the printing press, many would not guess the scale of its effect in the following centuries. How about the internet? How many thought it would be in everyone’s pockets in a few decades? Intelligence is important – and a clue to how AI may affect our future may be found in our own evolutionary history – while cynics may scoff at ‘human intelligence’, there is no denying that it has made a very significant impact on the biosphere. The ethical implications are enormous. What is possible? How will we approach biasing the odds of a future where AI do the right thing by us? Can the advanced software and computer technology of today make a genuine difference in understanding cities as complex systems, and support strategic interventions in the direction of greater sustainability, resilience and equity? This presentation will aim to discuss aspects of this problem, in particular through the lens of communities-of-practice around computer models of complex phenomena – such as simulating long-term land-use patterns and transport networks. It will draw on my background in large research modelling communities in fields such as Geodynamics, where Open Source software is a key component and acts in some respects as a shared cognitive framework and 'boundary object'. Questions to be covered include which aspects of technologies & institutions of such communities can be usefully applied to analysing and supporting decision-making about urban systems, and which need to be refined and further developed. In the classical science community much is made of scientific validity and method. In the real world though, less attention is given to these words let alone these ideas. As we stand on the precipice of change again, this paper argues that it is both important that the scientific method and validity invades the thinking of the larger set space of community and business, as well as utilising popular strategies utilised by business and community to enhance the identification and collection of data sets in both an economical and cost effective method – two ideas that are not always synonymous. • Emergence: an example worked out by a community of practice and sometimes disparate practices – KI! Symposium delegates planning to attend the Future Day Event are asked to register. Venue is a short walk from Symposium. See location map on the registration page. Copyright 2011-12 Kororoit Institute Proponents and Supporters Association Inc.